Light to Moderate snow has been developing all morning and will begin to accumulate across parts of the Midwest by the afternoon. I wide swath of 1-3" can be expected for most places. 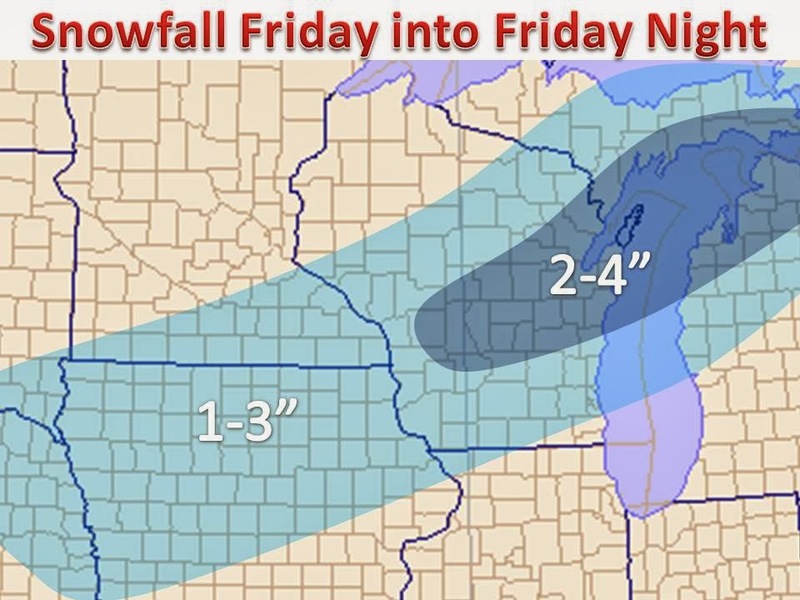 Up to 4", maybe an isolated 5" amount in Northeast Wisconsin where the strongest convergence will take place. More snow can be expected for point south on Saturday and a much larger system for Sunday and Monday. An area of 6"+ is possible with that system so stay tuned!